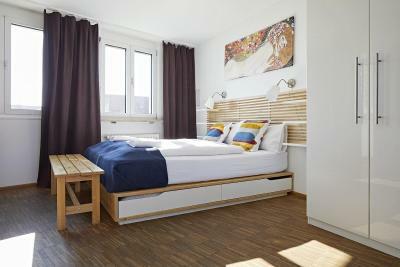 Lock in a great price for Übernacht - HostelHotelHome – rated 8.3 by recent guests! Affordable price , even i stay in Dooremtery was quite good. Was lucky enough to get the bottom bunk with a double sized mattress. 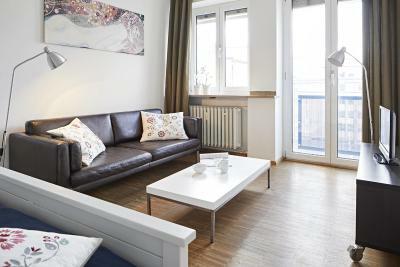 Good location, close to city hall square. 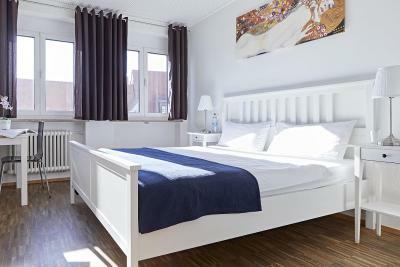 Comfortable bed, big closet to store your things, nice reception area, can walk to train station and main sites in the old town. The staff was super friendly, the location was excellent and it had a really cool quaint cute vibe. I love the fact that I did not have to have my own lock to lock the lockers I actually received a key to lock my belongings up. Bed was huge! Plenty of closet space in the shared double room. Room was clean and comfortable with nice big windows. 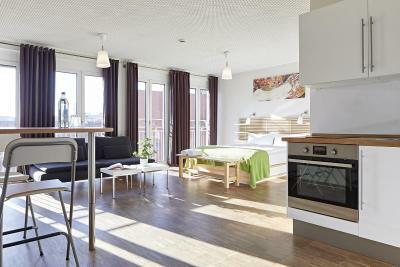 Spacious and clean room, amazing view, lots of windows. 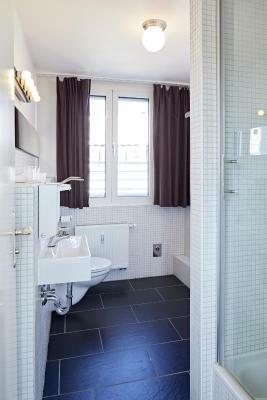 Shared bathroom was extremely large and clean. From the staff to the last detail of the room, all was fantastic. 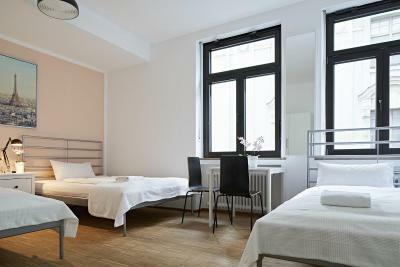 This hostel enjoys free WiFi, good public transport connections and a central location in the Bavarian city of Augsburg, within a 2-minute walk of the city hall, cathedral, Brecht house and the theater. 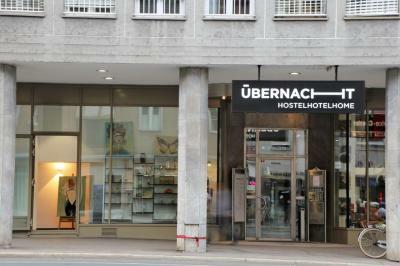 Übernacht Hostel provides accommodations for visitors to Augsburg. 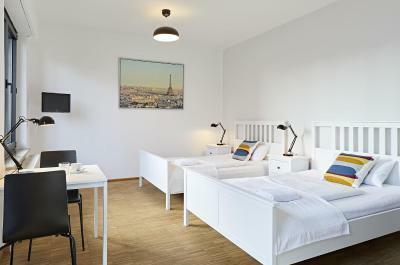 It offers a range of shared rooms, private single and double rooms as well as fully furnished apartments. 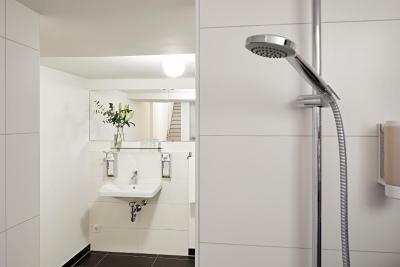 Some units include a private bathroom. 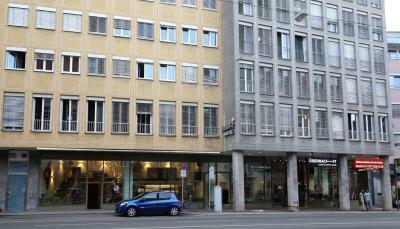 Guests can find many cafés and restaurants nearby. 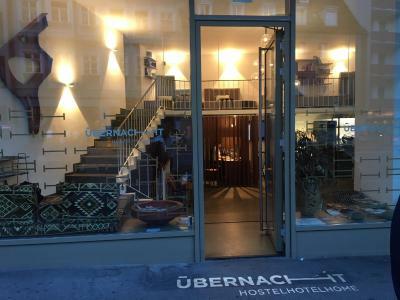 Free WiFi is provided for guests everywhere in the Übernacht Hostel. 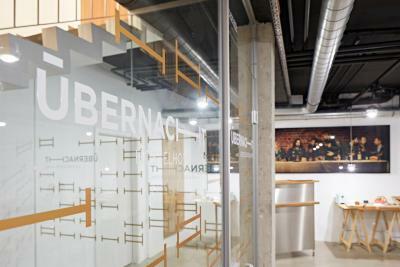 The Übernacht Hostel offers secure parking for bicycles. Other items such as hairdryers, irons or reading lamps can be borrowed for free. 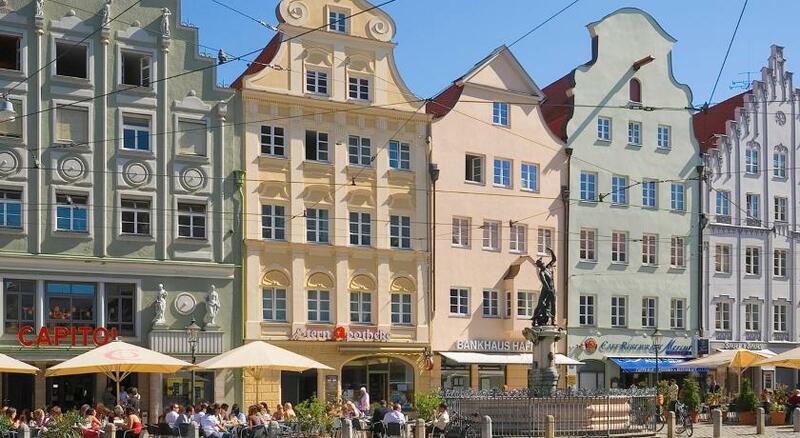 There is a bus stop in front of the hostel with direct connections to Augsburg's main railway station. There is a tram stop just 250 feet away. 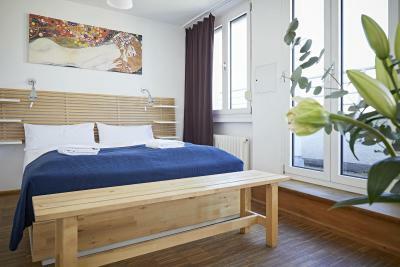 When would you like to stay at Übernacht - HostelHotelHome? 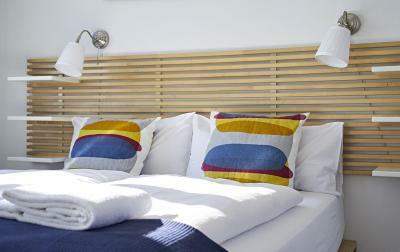 Bright room featuring white décor, wooden floors and shared bathroom facilities. Please note that this room is also available for single occupancy. 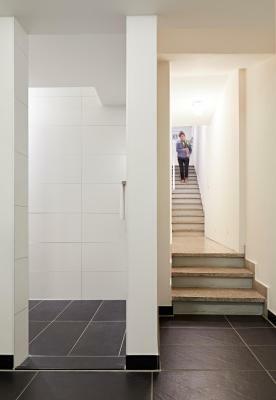 Bright dormitory featuring white décor, wooden floors and shared bathroom facilities. 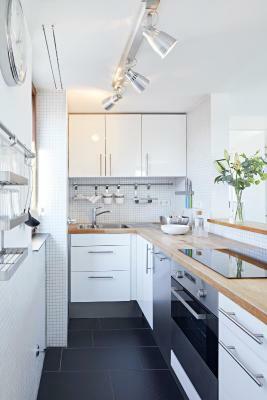 This bright room is decorated in white tones. 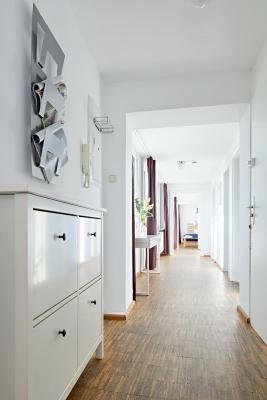 It features wooden floors and has a shared bathroom. 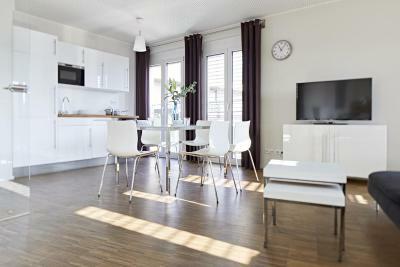 This bright room includes wooden floors. Please note that this apartment is located in the annex which is approx. 656 feet away from the main building. 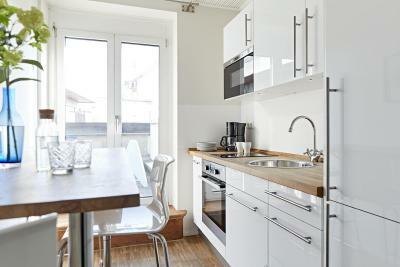 This apartment has a balcony, kitchenware and electric kettle. 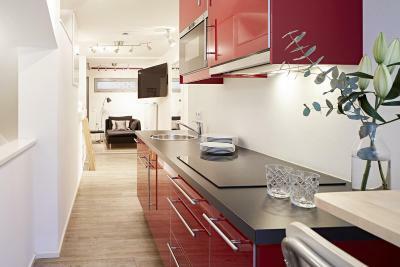 This apartment has a sofa, dining area and kitchen. 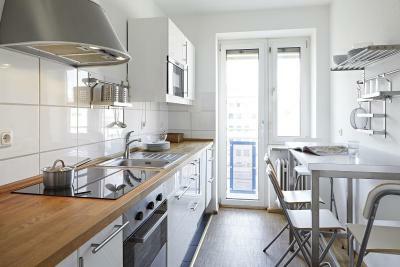 This apartment features a balcony, oven and dining area. House Rules Übernacht - HostelHotelHome takes special requests – add in the next step! 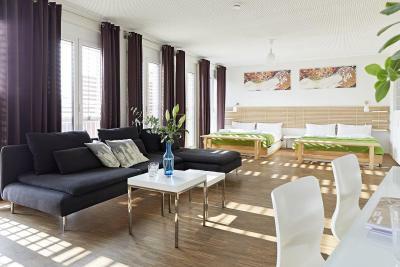 Übernacht - HostelHotelHome accepts these cards and reserves the right to temporarily hold an amount prior to arrival. 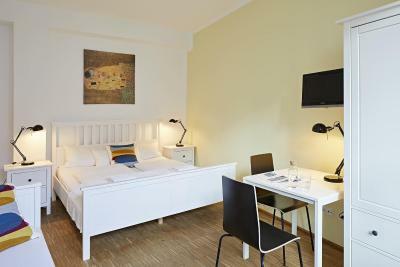 Please note that check-in after 21:00 is only possible subject to prior confirmation from the property and is subject to a EUR 10 fee per person. Please note that towels cost EUR 1.50 each. 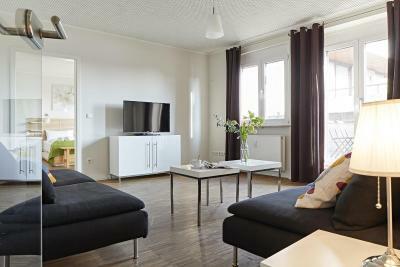 Arrival after this time is only possible upon prior arrangement with the property. Please note that the kitchen is only available in the apartments. There is no kitchen or cooking facilities in the rooms. 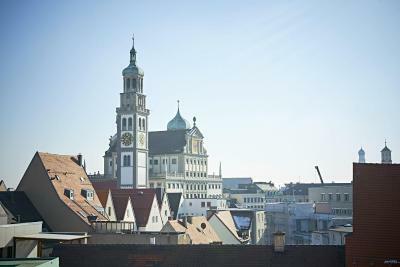 Please note that drivers need a fuel-emission sticker (Umweltplakette) in order to enter central Augsburg. 1000 m with luggage from station is very long distance. It better to take bus no 23. Nothing . The staff is not nice to you. It is very cold in the room, the internet was not working. The people from the reception were gone at 20:00 o clock in the evening and if you have a problem during the night they don t answer . 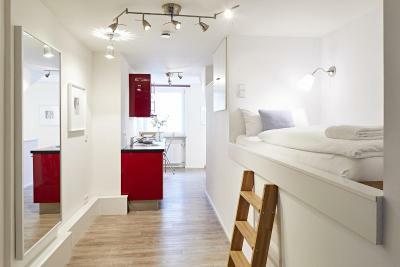 Tiny kitchen area has two fridges ,a kettle and a microwave.You have to use the bathroom sinks. No utensils,plates etc. I suppose the problem is because it is in separate area from the reception they cant supervise it though they should really put a better one in in the reception area as there is room there. Spacious dorm at rear was quiet. Comfy bed. Breakfast is ok, any cheese provided. There was one WC/ single shower on the floor. 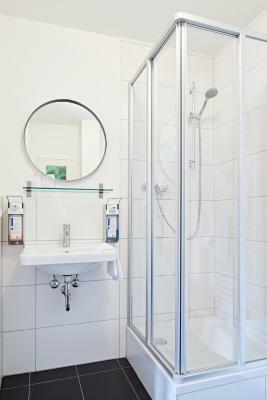 The other showers were in another bathroom, all with glass doors and no privacy. Floorplans indicated common rooms, but none were labeled. 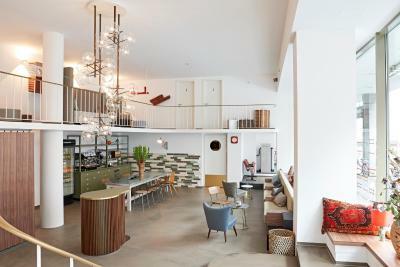 The only thing is that a lobby was the next door to the block with the room, meaning that you need to go outside if you want a cup of coffee or have a question. the hostel is very clean.also the location is great.also the staff.the bed was king size.really would come back here every year. It is very cool - the rooms and the break out area! And of course the staff was very friendly!!! I will highly recommend it! It was clean and the bedding was nice and warm. Rooms look and feel a bit worn out - could do with a lick of paint. No towels provided unless paid for as an extra, no tv unless paid for extra. The little communal kitchen has no cutlery or utensils and no sink or tap, no drinking fountain anywhere to refill water. Very noisy neighbours who kept me up until 4am on the first two nights. Upon complaining to the hostel team, I was offered an alternative room for the third and final night but no financial compensation or refund. Great location, Reception is very stylish, Friendly Staff, Responsive via email about any queries, good WiFi. Overall cleanliness was good. Breakfast is not included and too expensive. There is no kitchen no free tea. Could have been one or two more pillows in the bed, and possibly a thicker duvet. Other than that it is a great place to stay. 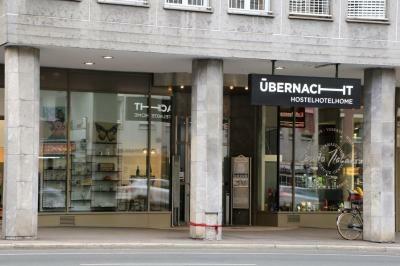 The Übernacht Hostel is located in a very central area for exploring the city centre, and some of the main historical sights. 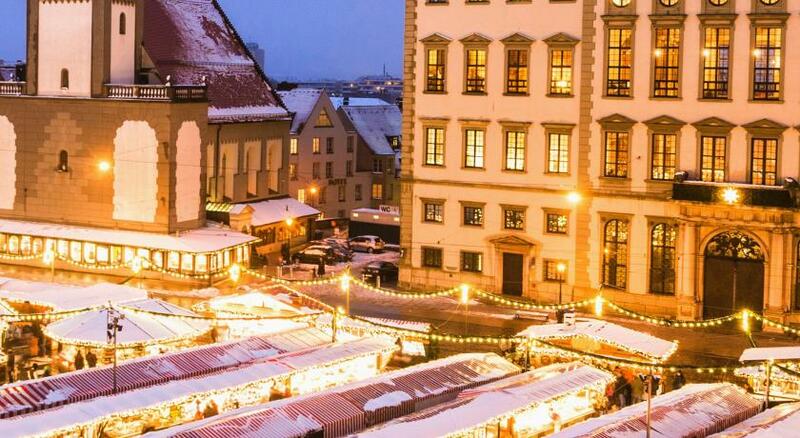 Only about a 200 yard walk from the hostel to the main city square. 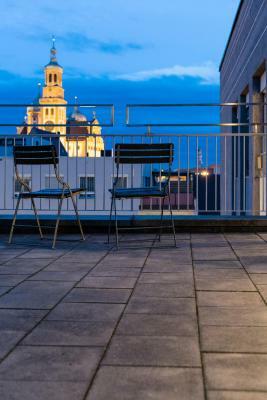 Very quiet location considering it is in the heart of the city.